The Villas comprise 5 unit individual villa inside. These villas inside have its own private swimming pool. It also have its own private living space area and fully functional kitchen. Guest that staying in these individual villa can enjoy meals in Joglo Restaurant located in front side of The Villa compound. Surrounded by rice paddies, These villa is hidden gem in Ubud. The villa reside 5 units villas with total 11 bedrooms and 5 private swimming pools inside each of villa. This small complex offering total relaxation and true Ubud experience for guests. Without any exception, each of guests stay in The vlla will get total private staying experiences. You will get tranquility of Ubud while staying in Sativa Villa. Main Living Area (Semi open-air living area, Ceiling fan, Television with international channels & DVD player). Bedroom 1 (Ensuite bathroom with bathtub, King size bed, Air-conditioning, Ceiling fan, Television with international channels & DVD player, Sofa, Toiletries, Wardrobe, Terrace outside bedroom). Bedroom 2 (Ensuite bathroom with bathtub, King size bed, Air-conditioning, Ceiling fan, Television with international channels & DVD player, Sofa, Toiletries, Wardrobe, Terrace outside bedroom). Bedroom 3 ( Ensuite bathroom, Single size bed x 2, Air-conditioning, Ceiling fan, Toiletries, Wardrobe). kitchen & dining area (Fully equipped kitchen, Cutlery, chinaware & glassware, Microwave, Full-size refrigerator, Dishwasher). Services Performed by Staff (Housekeeper, Security, Swimming Pool Attendant, Garden Attendant). Surrounded by rice paddies, Villa is hidden gem in Ubud. The villa reside 5 units villas with total 11 bedrooms and 5 private swimming pools inside each of villa. This small complex offering total relaxation and true Ubud experience for guests. Without any exception, each of guests stay in Sativa Villa will get total private staying experiences. You will get tranquility of Ubud while staying in The Villa. Main Living Area (Open-air living area, Ceiling fan). Bedroom 1 (Ensuite bathroom with bathtub, King size bed, Air-conditioning, Television, Television with DVD player, Toiletries, Wardrobe, Terrace outside bedroom). Bedroom 2 (Ensuite bathroom with bathtub, Single size bed x 2, Air-conditioning, Television with DVD player, Toiletries, Wardrobe, Terrace outside bedroom). Kitchen and Dining (Open-air kitchen & dining area, Fully equipped kitchen, Cutlery, chinaware & glassware, Full-size refrigerator, Dishwasher). Bedroom 1 (Semi-outdoor ensuite bathroom, King size bed, Air-conditioning & ceiling fan, Television with DVD player, Sofa, Toiletries, Wardrobe, Terrace outside bedroom with sofa). Cometa Villas Seminyak – 4 Bedrooms Pool Villa has an open Living area, hi-fi sound system, multiple bedrooms with kitchen and dining areas. 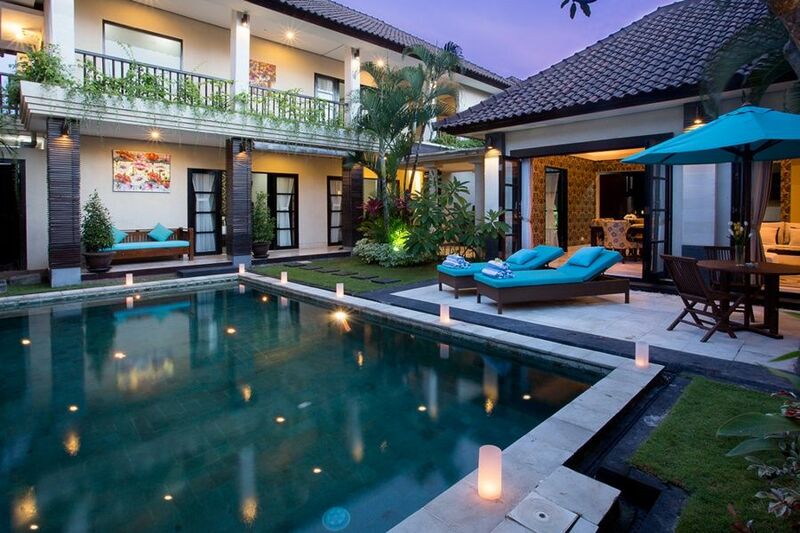 This Luxury villa in Seminyak is the ultimate place to stay when you are in Bali. Bedroom 1 (Ensuite bathroom, King size bed, Air-conditioning, Television with DVD player, Sofa, Toiletries, Walk-in wardrobe, Wardrobe, Terrace outside the bedroom Seminyak). Bedroom 2 (Ensuite bathroom, King size bed, Air-conditioning, Television with DVD player, Toiletries, Walk-in wardrobe, Wardrobe). Bedroom 3 (Ensuite bathroom, King size bed, Air-conditioning, Television with DVD player, Toiletries, Walk-in wardrobe, Wardrobe). Bedroom 4 (Ensuite bathroom, King size bed, Air-conditioning, Television with DVD player, Toiletries, Walk-in wardrobe, Wardrobe). Kitchen and Dining (Semi open-air kitchen & dining area, Fully equipped kitchen, Cutlery, chinaware & glassware, Water Dispenser, Full-size refrigerator with ice cube maker, Dishwasher). Services Performed by Staff (Driver, Housekeeper, Swimming Pool Attendant, Garden Attendant). Carrying our luxury boutique villas and resort lines that carry our luxury identity, Cometa Villas is prestigeosly located in the heart of Seminyak. Cometa Villas is the ultimate place to stay when you are in Bali. It offers a good selection of spacious three-bedrooms villa on 500 M2 private compound and another grandeur 600 M2 four-bedroom private villa. Each villa has a large private swimming pool. The villas are surrounded by lush tropical garden. Guests will enjoy Bali in its most tranquil way, under coloured umbrella and day beds beside the pool for relaxing sun bathing. 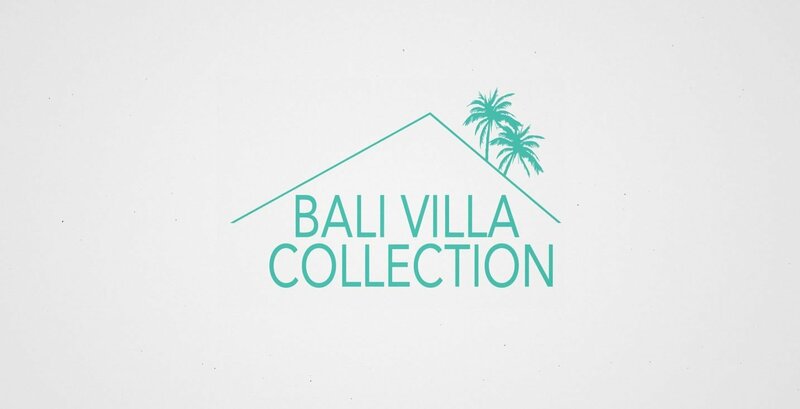 This Villas is not far from the famous Petitenget Beach and the most popular “Eat-Street” of stylish Seminyak, where rows of world-class fine dining restaurants, bistros and high-end lifestyle boutiques are located. Decorated in a modern tropical style, open and enclosed options of the living room, which gracefully overlooking the beautiful landscape, This Villas is perfect to hold couples, families, group of friends gathering. Bedroom 1 (Ensuite bathroom with bathtub, King size bed, Air-conditioning, Television with DVD player, Sofa, Toiletries, Walk-in wardrobe, Wardrobe, Terrace outside bedroom). Bedroom 2 (Ensuite bathroom with bathtub, King size bed, Air-conditioning, Television with DVD player, Sofa, Toiletries, Walk-in wardrobe, Wardrobe). Kitchen and Dining (Open-air kitchen & dining area, Fully equipped kitchen, Cutlery, chinaware & glassware, Water Dispenser, Full-size refrigerator with ice cube maker, Dishwasher). Cometa Villas is not far from the famous Petitenget Beach and the most popular “Eat-Street” of stylish Seminyak, where rows of world-class fine dining restaurants, bistros and high-end lifestyle boutiques are located. Superbly located just 100 meters from Berawa Beach in Bali, The villa is the perfect holiday destination for families, friends or couples seeking a more laid back escape in Bali. Located just a 3 to 5 minute walk from the beach, Villa Kirgeo is ideal for people of all ages with excellent nearby cafés, restaurants and bars. The Finns Recereation Club (ex Canggu Club) is also just a few minutes’ drive away, offering all types of sporting and leisure activities including their new Splash waterpark, ten pin bowling and Bounce, their trampoline games room. Newly built and smartly designed, The villa is complimented with a large 15m x 5m pool with surrounding lawn with two decorative fish ponds and other water features, large sun soaked timber deck area and huge poolside bale. Main Living Area (Semi open-air living area, Air-conditioning, Television with international channels & DVD player, HiFi sound system). Bedroom 1 (Ensuite bathroom with bathtub, Queen size bed, Air-conditioning, Television with international channels & DVD player, Wardrobe, Terrace outside bedroom). Bedroom 2 (Ensuite bathroom with bathtub, Queen size bed, Air-conditioning, Television with international channels & DVD player, Wardrobe, Terrace outside bedroom). Bedroom 3 (Ensuite bathroom, Queen size bed, Air-conditioning & ceiling fan, Television with international channels & DVD player, Wardrobe, Terrace outside bedroom). Bedroom 4 (Ensuite bathroom, Queen size bed, Air-conditioning & ceiling fan, Television with international channels & DVD player, Wardrobe). Kitchen and Dining (Semi open-air kitchen & dining area, Full-size refrigerator, Dishwasher). Services Performed by Staff (Villa Manager, Villa Supervisor, Cook, Driver, Maid, Housekeeper, Security, Swimming Pool Attendant, Garden Attendant). Property Outlook (Ocean views, Swimming pool views, Garden views, Sunset views). Outdoor Entertainment (Outdoor bbq facility). A palatial villa enclave with both epic rice field vistas and oceanfront views, Shalimar Estate is the quintessential location for a Bali vacation. The luxurious estate is composed of three villas set on the Indian Ocean, with breaking waves and the soft sand of Seseh Beach just footsteps away from lush private grounds, three gorgeous pools, and the finest Balinese style outdoor living environment. It’s a tropical vacation fantasy come to life, and it’s waiting for you at Shalimar Estate. Shalimar Estate is composed of three separate but equally beautiful villas: the six bedroom Villa Kalima; the four bedroom Villa Makanda; and the two bedroom Villa Cantik. That’s twelve bedrooms in all, and along with two extra roll away beds that are available per villa, Shalimar Estate can comfortably accommodate up to thirty overnight guests. This expansive resort property is ideal for the destination wedding of your dreams, along with large group holidays and special events. Parties of up to 200 persons seated and 250 standing can be catered in the large, flat lawns surrounded by tall coconut palm trees. Located near the village of Seseh on Bali’s southwest coast, you’ll have a peaceful and authentic Bali experience. When you’re ready to rejoin civilization, Bali hotspots like Canggu and Seminyak are not far away. The excellent Shalimar Estate staff, which includes hospitable butlers and cooks, will take care of all your needs. When you’re ready to make memories of a lifetime in Bali, there’s no better place to do it than here. The gorgeously appointed bedrooms at Shalimar Estate feature lots of space, natural light, and many have breathtaking ocean views. All of the plush beds are fitted with soft bedding and pillows, as well as mosquito netting, for your restful comfort. Villa Kalima hosts four master suites with king beds, and one room each with a queen and twin bed. Villa Makanda hosts four master suites with king beds. Villa Cantika hosts two master suites with king beds, and one of those bedrooms has a daybed that could be used for children. This cute villa is ideal for a new bride and groom. The suites are large enough to accommodate additional rollaway beds, and up to two can be provided per villa upon request. All bedrooms are equipped with cold air conditioning, and also with fans for when you just want to throw open the windows and take in the refreshing ocean breezes. The high joglo-style ceilings, tasteful decor, and teak furnishings create a serene and restful environment perfect for deep sleep or light napping. Each bedroom also comes furnished with safe boxes for your valuables, desks with chairs, end tables with lamps, and plenty of storage for your clothes and gear. Every bedroom in Shalimar Estate is considerately provided with an ensuite bathroom. The master suite baths have massive soaking tubs where you can wash away the cares of the day in deeply relaxed state. All baths have powerful rainfall showers to rinse away the Seseh Beach sand. Wash basins, clean towels, and complimentary toiletries are all provided your use in these clean and lovely facilities. All Shalimar Estates villas have Balinese-style open plan living areas that are strategically located to the rear of the buildings, where they capture sensational views of the pool, tropical gardens, and towering palm trees. There are extra large plush sofas with plenty of cushions perfect for enjoying sunset cocktails and spirited conversations. Enjoy movie night or maybe some music with the fun options found in a media lounge area, furnished with its own sofa facing a flat screen TV. Satellite channels, DVD players, and fast WiFi internet are all included for your entertainment pleasure. Fully equipped, modern kitchens with all the appliances and accessories are provided for your culinary needs. Have the villa cooks create local Balinese or Indonesian recipes from fresh ingredients so you can really have a full cultural experience and belly. The butlers will be happy to serve you and your guests al fresco at the lovely formal dining tables where you can dine poolside, in the shade, and contemplate how wonderful it all is. Three separate, shimmering azure pools leave you plenty of space to take a morning swim, or just a cooling dip on a hot day. All are twenty meters long, kept sparkling clean, and ready for you to take a few laps. Poolside lounge chairs beckon for lazy days and soaking in the tropical sun – or maybe walk through the private, flowering tropical gardens down to Seseh Beach. Here you’ll find a quiet and beautiful strip of sand along the Indian Ocean where you can stroll, surf, or have a little beach party with your guests. There is space and options for plenty of guests to be entertained outdoors at Shalimar Estate. A top notch team of cheerful and professionally trained staff will be there to tend to all your needs and desires when you stay at Shalimar Estates. Butlers, housekeepers, cooks, and security will take care of all the daily tasks to make your life easy. Villa managers and supervisors keep everything running smoothly, and are ready to help with requests for spa services, babysitting, tours and transportation, and much more. Don’t hesitate to ask, our staff will be happy to help make this your best vacation or event ever. Shalimar Estate is located near the rural village of Seseh on Bali’s southwest coast, a largely unspoiled region surrounded in the island’s famous beauty. Sweeping ocean vistas and sprawling rice fields, set among coconut palm trees and quiet serenity make this a place to have truly authentic experience of Bali living. There are local eateries (warungs) to be found in Seseh if you want to try the delicious local cuisine and have a true cultural experience. Also nearby is the hip beach town of Canggu, home to well-known surfing beaches like Berawa and Batu Bolong. Take a day trip and explore the great cafes, or post up at an oceanfront beach club like Finn’s and watch the sunset over the ocean from the swim-up bar in the infinity [pool. If you’d like to experience the finest in shopping, dining, and nightlife, glitzy Seminyak is also within easy driving distance. Stroll the famous Eat Street, where you can browse trendy boutiques, eat at top-rated restaurants such at Metis or Sardine, and find nightlife options for every taste. Ask your friendly villa supervisor to help set up your trip, or an island tour, and enjoy the best of the island with ease. At Villa Shalimar, you’ll experience Bali luxury and hospitality that will make your stay absolutely unforgettable. Main Living Area (Open-air living area, Air-conditioning & ceiling fan, Television with international channels & DVD player). Bedroom 1 (Ensuite bathroom, King size bed, Air-conditioning, Toiletries, Terrace outside bedroom). Bedroom 2 (Ensuite bathroom, King size bed, Air-conditioning, Toiletries, Terrace outside bedroom). Bedroom 3 (Ensuite bathroom with spa bathtub, King size bed with mosquito net, Air-conditioning, Sofa, Toiletries, Wardrobe, Terrace outside bedroom). Bedroom 4 (Ensuite bathroom with spa bathtub, King size bed with mosquito net, Air-conditioning, Sofa, Toiletries, Wardrobe, Terrace outside bedroom). Bedroom 5 (Semi-outdoor ensuite bathroom with spa bathtub, King size bed with mosquito net, Air-conditioning, Sofa, Toiletries, Wardrobe, Balcony outside bedroom). Bedroom 6 (Semi-outdoor ensuite bathroom with spa bathtub, King size bed with mosquito net, Air-conditioning, Sofa, Toiletries, Wardrobe, Balcony outside bedroom). Bedroom 7 (Semi-outdoor ensuite bathroom with spa bathtub, King size bed with mosquito net, Air-conditioning, Sofa, Toiletries, Walk-in robe with safety box, Study desk, Terrace outside bedroom with sofa). Bedroom 8 (Semi-outdoor ensuite bathroom with spa bathtub, King size bed with mosquito net, Air-conditioning, Sofa, Toiletries, Walk-in robe with safety box, Study desk, Terrace outside bedroom with sofa). Bedroom 9 (Semi-outdoor ensuite bathroom with spa bathtub, King size bed with mosquito net, Air-conditioning, Sofa, Toiletries, Walk-in robe with safety box, Study desk, Terrace outside bedroom with sofa). Bedroom 10 (Semi-outdoor ensuite bathroom with spa bathtub, King size bed with mosquito net, Air-conditioning, Sofa, Toiletries, Walk-in robe with safety box, Study desk, Terrace outside bedroom with sofa). Bedroom 11 (Semi-outdoor ensuite bathroom with spa bathtub, King size bed with mosquito net, Air-conditioning, Sofa, Toiletries, Walk-in robe with safety box, Terrace outside bedroom with sofa). Bedroom 12 (Semi-outdoor ensuite bathroom with spa bathtub, Single size bed x 2 with mosquito nets, Air-conditioning, Sofa, Toiletries, Walk-in robe with safety box, Terrace outside bedroom with sofa). Services Performed by Staff (Villa Manager, Villa Supervisor, Butler, Cook, Housekeeper, Security, Swimming Pool, Attendant Garden Attendant). Bedroom 1 (Semi-outdoor ensuite bathroom with spa bathtub, King size bed with mosquito net, Air-conditioning, Sofa, Walk-in robe with safety box, Study desk, Terrace outside bedroom with sofa). Bedroom 2 (Semi-outdoor ensuite bathroom with spa bathtub, King size bed with mosquito net, Air-conditioning, Sofa, Toiletries, Walk-in robe with safety box, Study desk, Terrace outside bedroom with sofa). Bedroom 3 (Semi-outdoor ensuite bathroom with spa bathtub, King size bed with mosquito net, Air-conditioning, Sofa, Toiletries, Walk-in robe with safety box, Study desk, Terrace outside bedroom). Bedroom 4 (Semi-outdoor ensuite bathroom with spa bathtub, King size bed with mosquito net, Air-conditioning, Sofa, Toiletries, Walk-in robe with safety box, Study desk, Terrace outside bedroom). Bedroom 5 (Semi-outdoor ensuite bathroom with spa bathtub, Single size bed x 2 with mosquito nets, Air-conditioning, Sofa, Toiletries, Walk-in robe with safety box, Study desk, Terrace outside bedroom). Bedroom 6 (Semi-outdoor ensuite bathroom with spa bathtub, King size bed with mosquito net, Air-conditioning, Toiletries, Walk-in robe with safety box, Terrace outside bedroom). Bedroom 1 (Semi-outdoor ensuite bathroom with spa bathtub, King size bed with mosquito net, Air-conditioning, Sofa, Toiletries, Walk-in robe with safety box, Study desk, Terrace outside bedroom). Bedroom 3 (Semi-outdoor ensuite bathroom with spa bathtub, King size bed with mosquito net, Air-conditioning, Sofa, Toiletries, Wardrobe with safety deposit box, Terrace outside bedroom). Bedroom 4 (Semi-outdoor ensuite bathroom with spa bathtub, King size bed with mosquito net, Air-conditioning, Sofa, Toiletries, Wardrobe with safety deposit box, Terrace outside bedroom). Bedroom 5 (Semi-outdoor ensuite bathroom with spa bathtub, Single size bed x 2 with mosquito nets, Air-conditioning, Sofa, Toiletries, Wardrobe with safety deposit box, Terrace outside bedroom).